Umai is a japanese restaurant located at 730 South Clark Street. The restaurant has a nice elegant feeling to it. 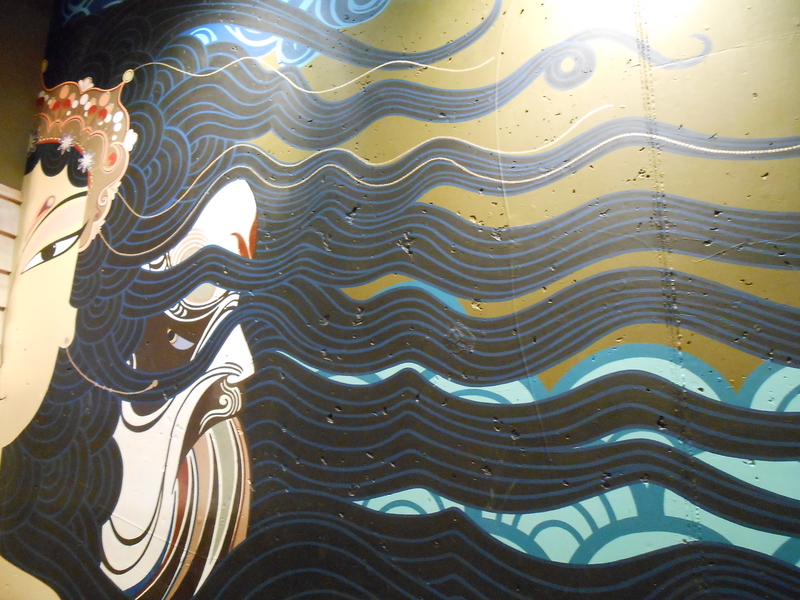 It wasn’t super busy and I loved the mural and art on the walls. When I went again recently on a saturday night it was pretty packed. 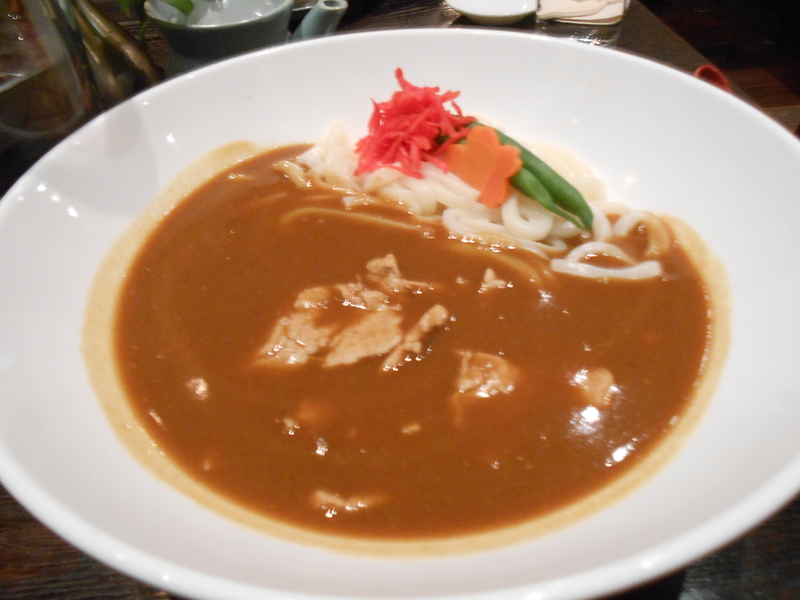 I ordered the Udon Kare with pork. The Udon Kare I mixed everything up, and had a sweet but slightly spicy curry soup. I fought a bit with the noodles, but I greatly enjoyed it. 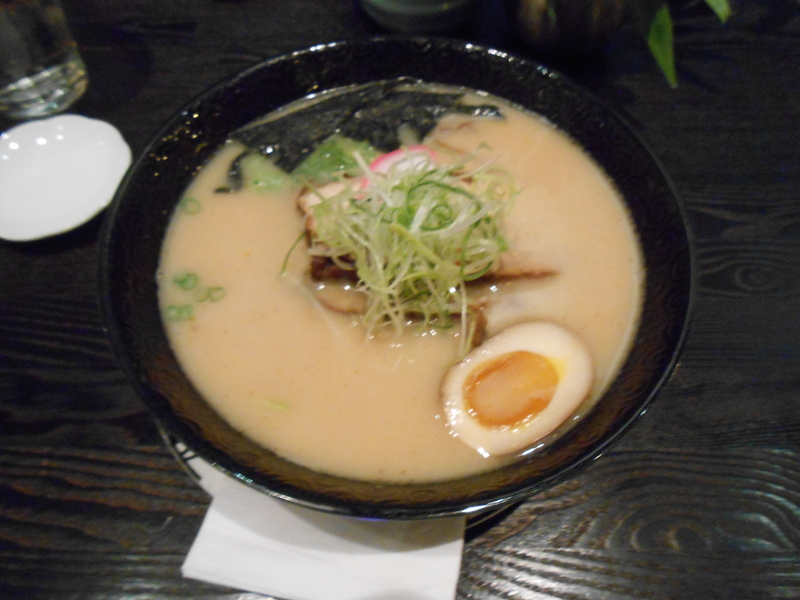 My friend ordered chefs recomendation of Ton Kotsu Ramen which had a slight miso soup taste to it’s base. When my friend and I were done our waiter asked if we would like dessert. 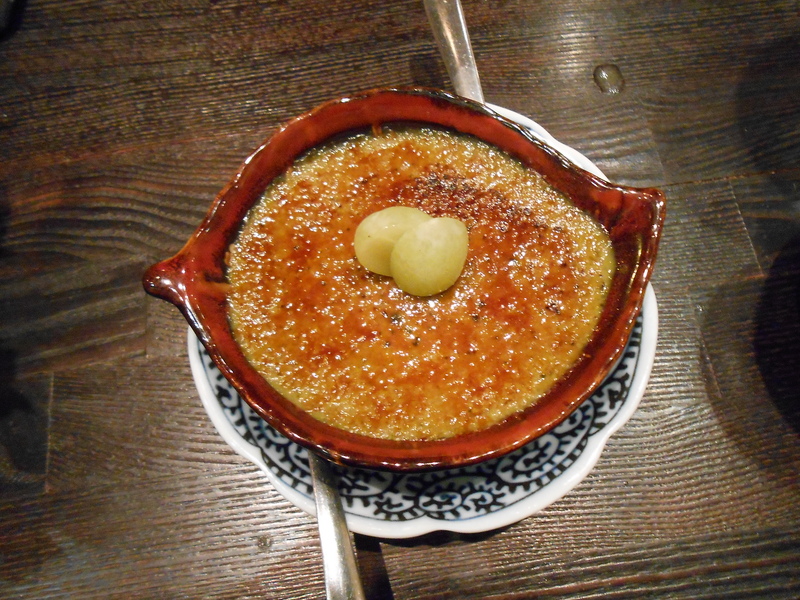 They have mochi ice cream , green tea ice cream, and a green tea crème brûlée The green tea crème brûlée sounded the most interesting to me, so my friend and I split it. It came with a grape split in half on the top and in a cute leaf shaped dish. The top and the dish was warm but the green tea underneath the surface was cold and had a sweet but mild green tea taste. My friend and I quickly demolished it despite having eaten a large dinner already.